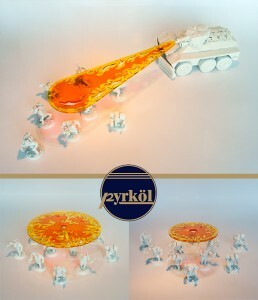 Pyrkol helps keep you warm on these chilly, autumn nights with their new flame templates. Ok, so they won't really keep you warm. The new 3 Inch, 5 Inch and flame templates are the perfect tool to blaze the tabletops. Designed as a new aproach to an old classic, they provide a new and cinematic way to use large weapons on the battlefield.